Day out exploring a new city with bae? Girl this dress is the perfect piece. 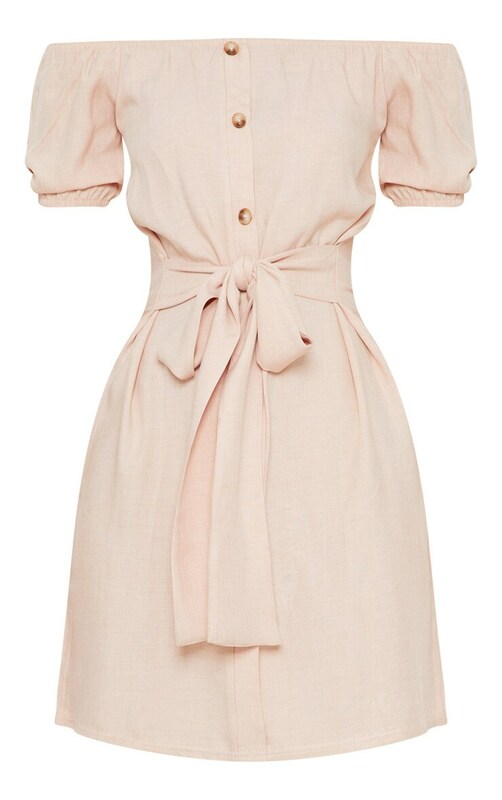 Featuring a dusty pink fabric with a bardot neckline, tortoiseshell buttons and a cinching tie waist, team with a fedora and lace-up sandals for the ultimate look.